Antresol brings in the classic Mistress stomp box back to life. The original, conceived in the mid-70s, quickly became a benchmark for flanger-type effects by offering a uniquely rich character. Antresol is a thorough incarnation of this classic and the newest effect in the SilverLine Collection. 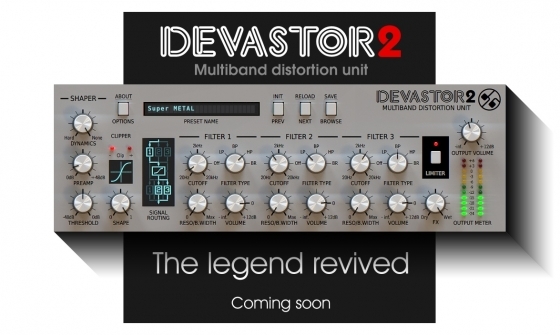 Devastor is a simple Multiband Distortion Unit. It is an enhanced version of the distortion unit from Phoscyon. 16 delay lines all arranged in a sequence to provide you, the creative producer, a level of inspiration and possibility simply unavailable with conventional delays.